With a sweet vintage 1930s look updated by a modern polka dot border, this personalized nostalgic nursery pillow makes a one-of-a-kind baby gift. 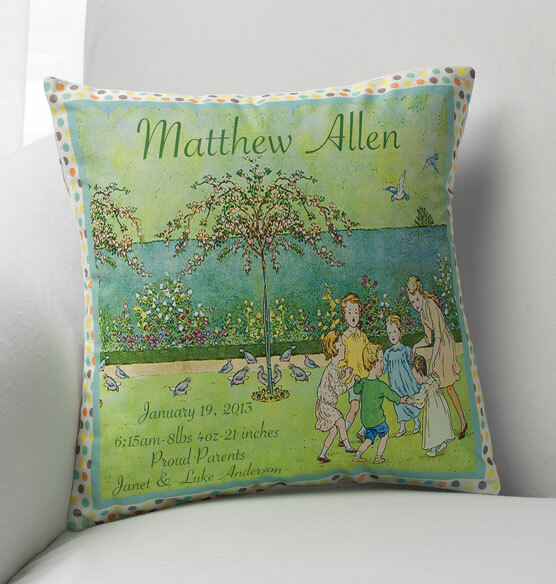 Designed to suit girls or boys, this decorative throw pillow includes the baby’s name and memorable details. Create the perfect keepsake for new parents to save through the years. I believe it will be a beautiful keepsake of a very special day.